De La Soul‘s fourth album. Release date: July 2, 1996. 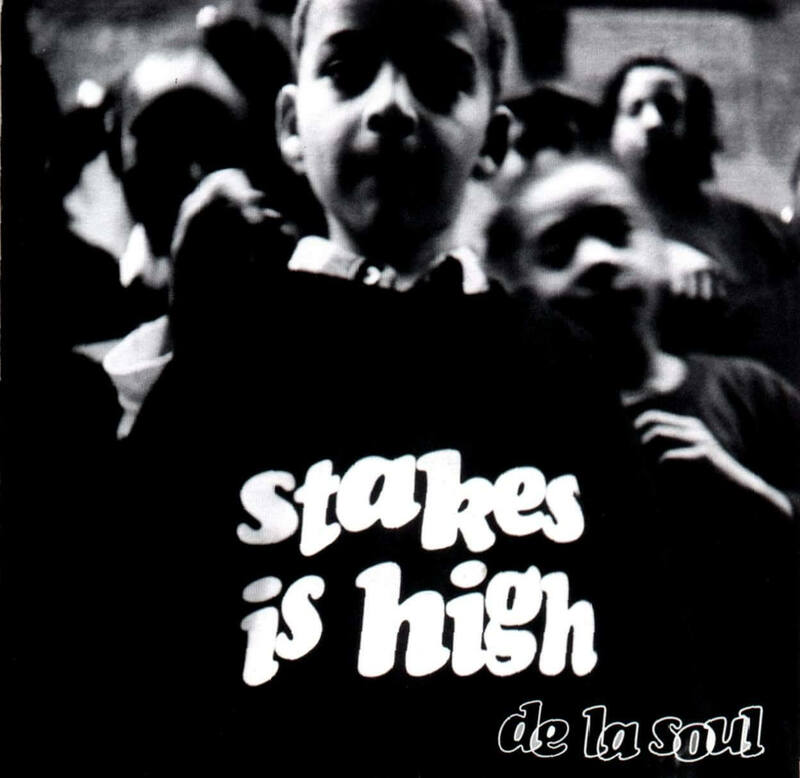 Stakes Is High is De La Soul’s fourth full-length album, released on July 2, 1996. The album marked a change in the group’s sound and direction as it was their first release not to be produced in collaboration with Prince Paul. Stakes Is High was mainly produced by the group themselves with additional tracks provided by Jay Dee, DJ Ogee, Spearhead X and Skeff Anslem. It received mostly strong reviews but little commercial success. After the album’s release, the group toured extensively and remained rather quiet before returning in 2000 with the first installment in their “Art Official Intelligence” series, Mosaic Thump. Stakes Is High dealt with many topics, including the state of Hip Hop, the commercialization of the Hip Hop culture and criticism towards gangsta rap. This would cause great contempt with the late gangsta rapper 2Pac who would later retaliate on the song “Against All Odds” from his posthumous 1996 album The Don Killuminati: The 7 Day Theory. Stakes Is High helped introduce rapper Mos Def to a wider audience, on the cut “Big Brother Beat”. Common also makes an appearance on “The Bizness”.